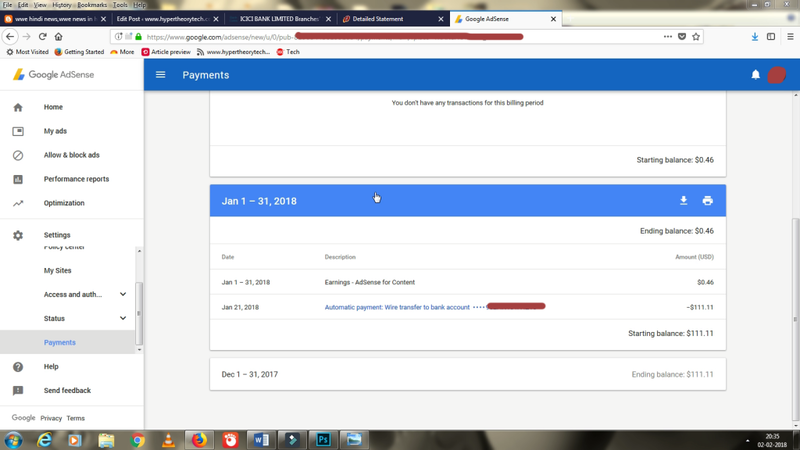 Hello friends today i am going to share my experience for receiving my first google adsense payment .actually this is my third online income and first AdSense payment .first income i have received from fiver.com second income i have received from peoplepehour freelancing website.So whenever you earn first 100 dollar from adsense they asks Bank account detail so that they can transfer the money to your account earlier this was not happening.Before 2014 Whenever a Person completes first 100 dollar then only thing you have to enter is your bank account name and nothing else. 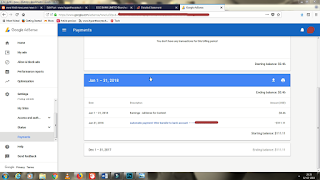 then within 3 weeks they send the payment by cheque to receiver address but now everything is digital so now google adsense asks bank detail.usually by 21st of each month adsense transfer the money to bank account and within 7 days people receive money. 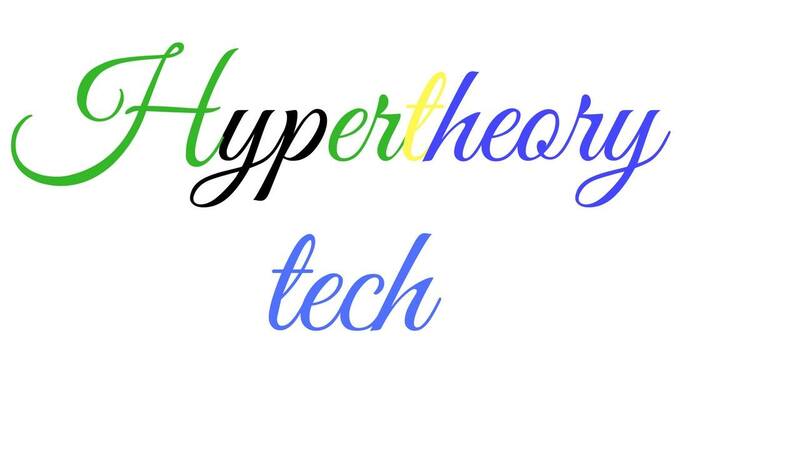 So Now the question is every thing i have filled but my branch does not have swift code What to do? If the branch where you bank account is present does not have swift code then you do not have to worry at all just visit you branch and ask swiftcode if they do not have swift code in their bank then they will provide other same bank swiftcode.iF YOU do not have time to visit branch than you can call customer care and ask them swift code.Swift code or the BIC code is usually 8 to 11 digit. if your bank does not have swift code than you can also provide other bank swift and there will be no problem at all.SWIFT CODE is usually needed to receive money from foreign country. 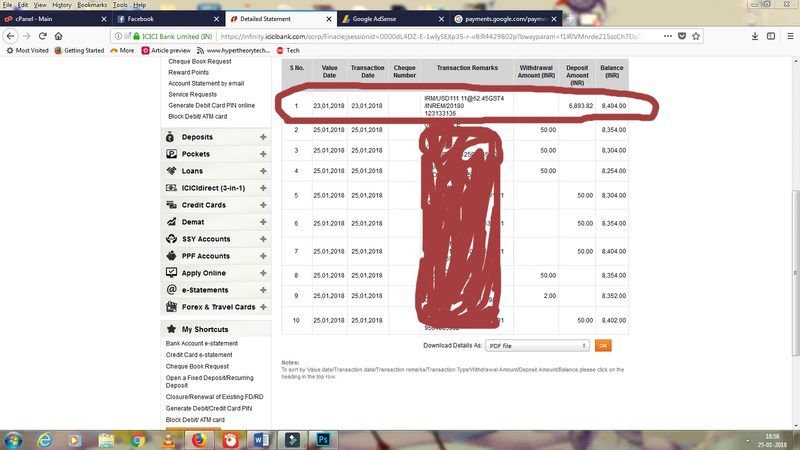 > i visited branch and got swift code icicinbbo61 but when i called customer care they provided me these two swift code which is from USA BOFAUS3NXXX, CHASUS33XXX. 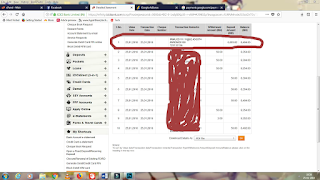 You should not enter united states swift code because if you enter USA SWIFT CODE THEN MONEY WILL GO THERE AND YOU HAVE TO BEAR TAX FROM USA AND AFTER THAT YOU HAVE TO PAY TO INDIA AS WELL. SO Here are some of the swift code of the icici banks SWIFT CODE YOU CAN USE ANY OF THE SWIFT CODE FOR RECEIVING PAYMENTS.